Schools are back in session, but that doesn’t mean that summer is totally gone. We can still expect thunderstorms and, in the case of Walt Disney World and the rest of central Florida, you can practically set your watch by them. With the thought of afternoon thunder-boomers, as my mother is so fond of calling them, let’s go through the top seven attractions to explore during a thunderstorm! This could really be talked about for any stage or movie production in Walt Disney World. The American Adventure, Impressions de France, Mickey’s PhilharMagic, MuppetVision 3D, The Country Bear Jamboree and the list goes on. 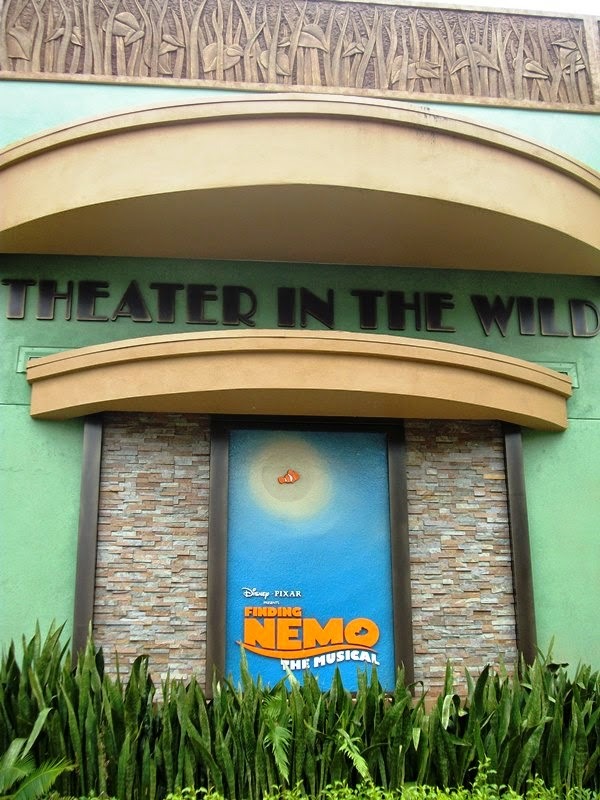 What truly makes Finding Nemo – The Musical the stage production to get caught in during the rain is the fact that it takes place under water. So those claps of thunder or pattering of rain plays right into the theme of the show. 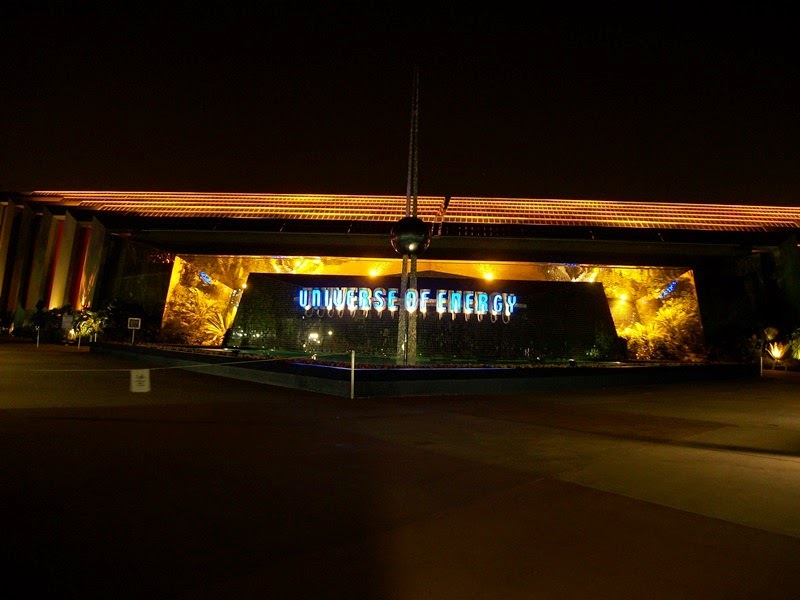 This could have fallen under our previous entry, but there is something special about the Universe of Energy and Ellen’s Energy Adventure. Time. Topping out at a whopping 45 minutes, catching the show at the right time may mean that you miss the thunderstorm entirely and exit out into a soaking wet, yet sunny, Epcot. Universe of Energy would also likely show up on a list of attractions to take naps in, but that’s a list for another day. Disney’s Hollywood Studios does not have a lot of options when it comes to staying dry and entertained for more than a few minutes. However, the grandest attraction in the park is certainly worth your time, especially if it’s raining. Even if the queue is rather large, that is all the better. You’re not getting thrown back out into the elements, and you may actually have some time to admire the artifacts presented in the lobby queue. 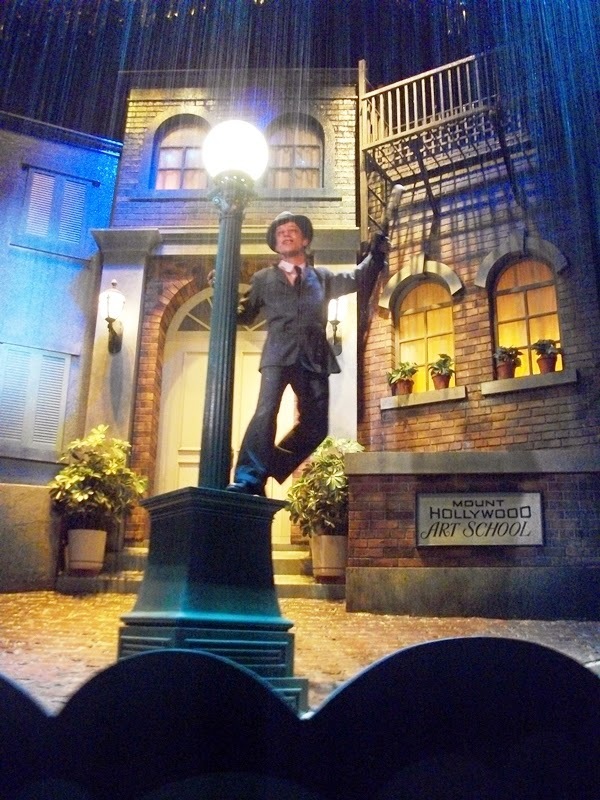 Plus, did we mention, there is a scene about Singin’ in the Rain? 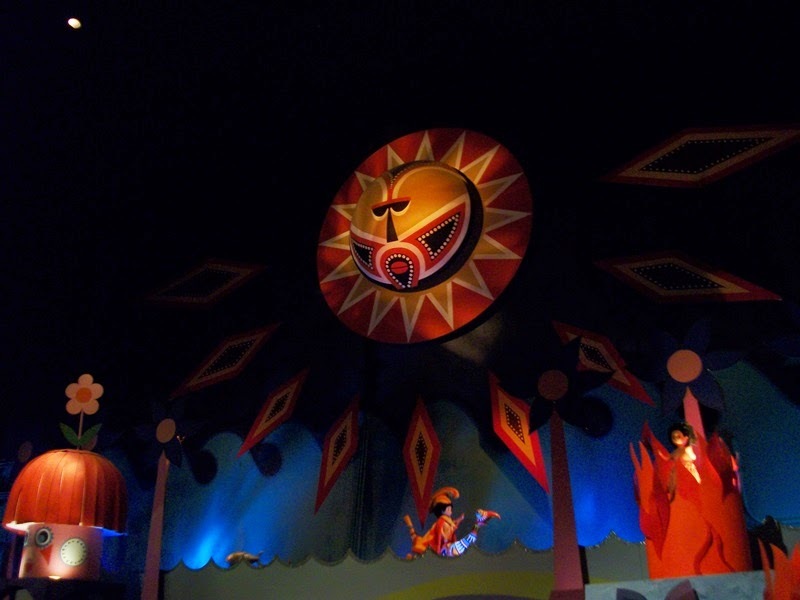 it’s a small world may have an infectious earworm of a theme song, but staying dry in the Magic Kingdom can be a real chore. Taking a ride aboard it’s a small world is sure to bring a smile to your face and be the happiest 8 and a half minutes you’ve ever spent in a thunderstorm. Plus it’s almost always sunny inside it’s a small world! Of course, if you find yourself away from Fantasyland and in the need of something a bit more in tune with the weather, may we recommend Pirates of the Caribbean in Adventureland? Taking a page from the attractions previous incarnation, Listen to the Land, the rain must fall. 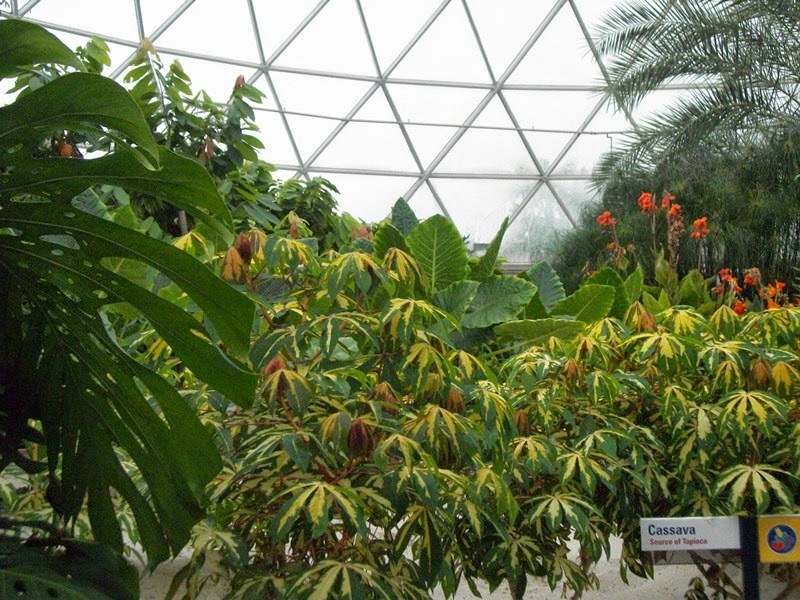 Living With the Land not only allows you to see the plants growing in the greenhouses, but also the vital rains that all living things need dancing off of the domes. Plus, The Land pavilion has plenty of other enticing attractions, not the least of which is a nice warm meal out of the elements. This is all about the theme, isn’t it? 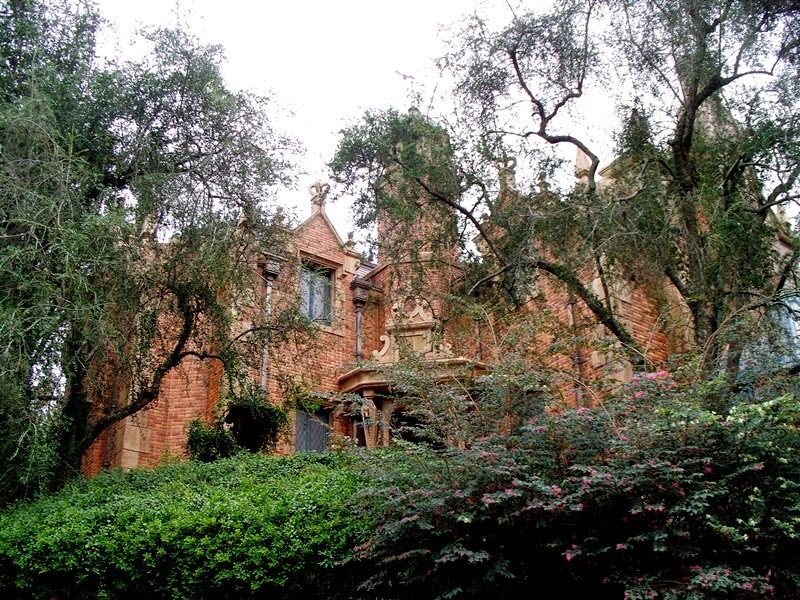 A spooky mansion with a storm outside is always brewing inside The Haunted Mansion. Yet, if you can catch this ride during a thunderstorm, or better yet a nighttime thunderstorm, and you have the perfect blending of storytelling and Mother Nature to give you one heck of a fright! I’ll be honest with you, I’ve never had the joys of catching this one during a thunderstorm. In fact, I had to do some checking to make sure it would even run during a storm. 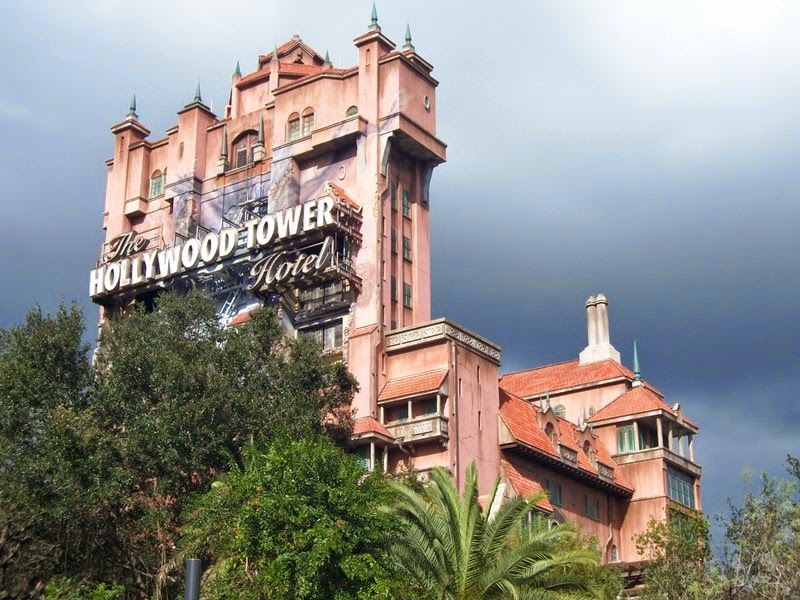 Turns out the Tower of Terror will run during a storm because the attraction itself is not fully exposed to conditions that could impair the attractions ability to function. Stormy weather in the library, plus stormy weather during your own perilous plunge, yep, that’s the pinnacle of thunderstorm entertainment! A word of caution, the queue does spend a good amount of time outside, so plan accordingly. 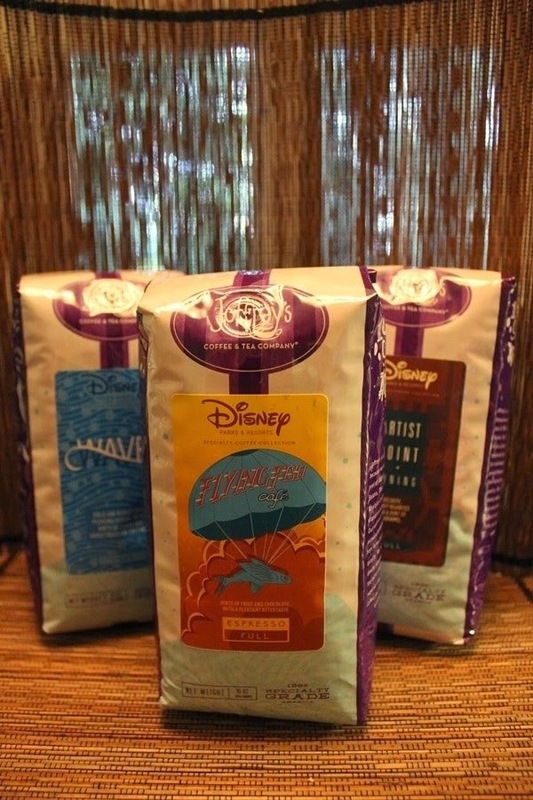 When it was announced that Joffrey’s would be releasing many of their Walt Disney World coffee blends in a take home version, I got extremely excited. Not necessarily because of my love of coffee, I actually don’t drink coffee, but because I knew I could bring in a coffee connoisseur to give you guys the lowdown on these cups for your own home! We’ll be doing these reviews in a couple of batches over the next several months, and we’ll be sticking to the Walt Disney World varieties. We’ll keep a running tally of our favorites and our least favorites in each update. 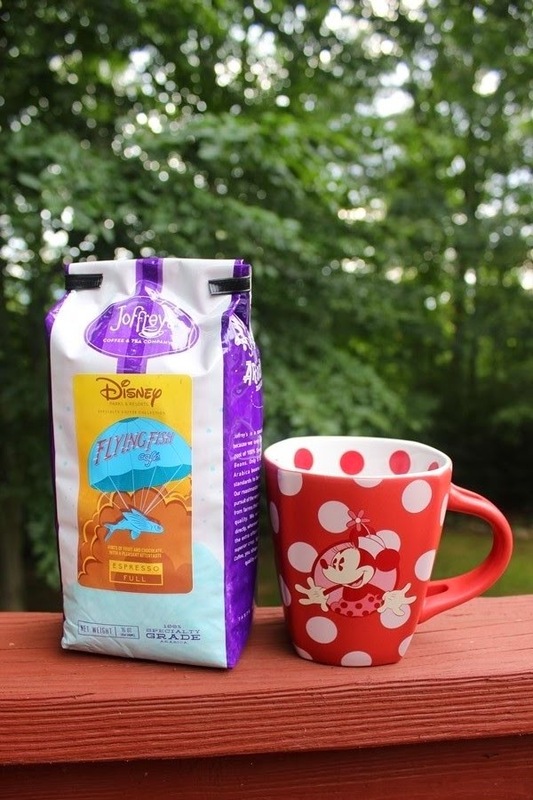 Each review will consist of three varieties and include Joffrey’s description of the coffee and then the tasting notes from Aileen Sheehan-Wilson. It is also worth noting that we started with whole beans and ground them ourselves. To start us off we have three full roasts, one of which is an espresso. Take it away, Aileen! The Wave (Full) - We love The Wave. It shares our ethos of making the world a better place by focusing on sustainable ingredients that are responsibly grown. After all, coffee is an agricultural product. How it’s raised is just as important as how it’s roasted and brewed. That’s why we cherish this brew. We source its 100% Specialty Grade Arabica Beans from one of our favorite farms in Sumatra. It’s bold and robust with pleasing herbal notes, hints of cedar and dried fruits on the finish. Try it as a kickstart with The Wave’s signature sweet potato pancakes, or down it with the deeply delicious Mississippi mud pie. I was so excited for this coffee. 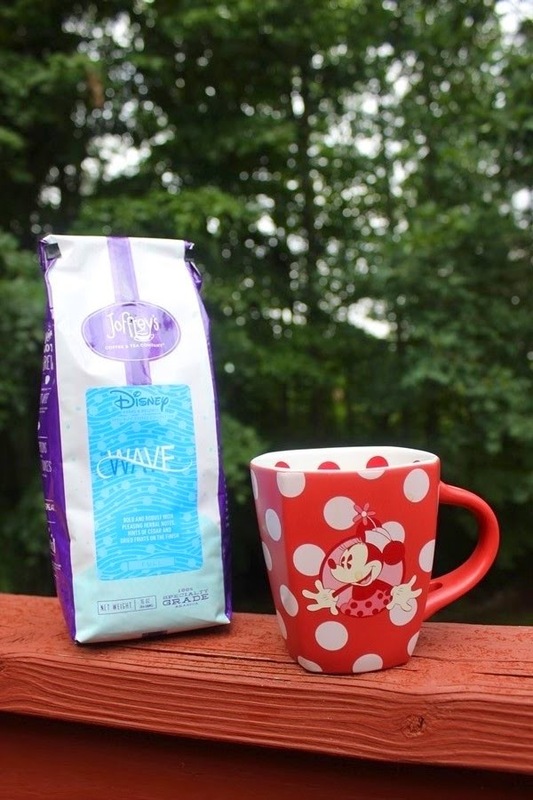 I absolutely love The Wave and its focus on sustainable and responsibly grown ingredients and hoped that the coffee would make me as happy as all of the other food they offer. Unfortunately, this was my least favorite of the selections. The coffee itself had a nice flavor and I did pick up the hints of cedar and dried fruit but lacked the boldness I expected from a full flavor roast. 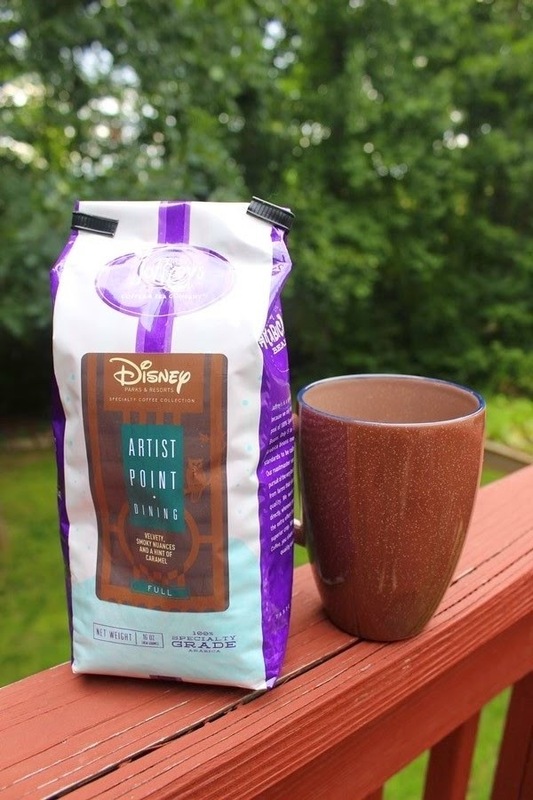 In all honesty, this particular blend reminded me quite a bit of Dunkin Donuts house blend, which means it was not bad in any way shape or form but not a coffee that blew me away. Unfortunately, I won’t be purchasing this particular roast again. Artist Point (Full) - This is the cup that will transport you to the cozy dining rooms of the National Park lodges that inspired the restaurant. It's bold and velvety, with smoky nuances. You can almost hear the crackling of a fireplace with each sip. We blend it with 100% Specialty Grade Arabica Beans from Indonesia and Africa. A hint of caramel in the finish pairs perfectly with the seasonal berries and house-made black raspberry ice cream that top the chef's Artist Point Cobbler. It's a brilliant brushstroke after a feast of fresh Pacific Northwest fare. This coffee was much more to my tastes. The boldness was much more apparent and I definitely detected a rich and smoky flavor. To me, this is more of what I was expecting from a full flavor roast. It was definitely reminiscent of what you might expect of the Pacific Northwest. This was a coffee I could drink each morning without feeling overwhelmed by caffeine or bitterness. 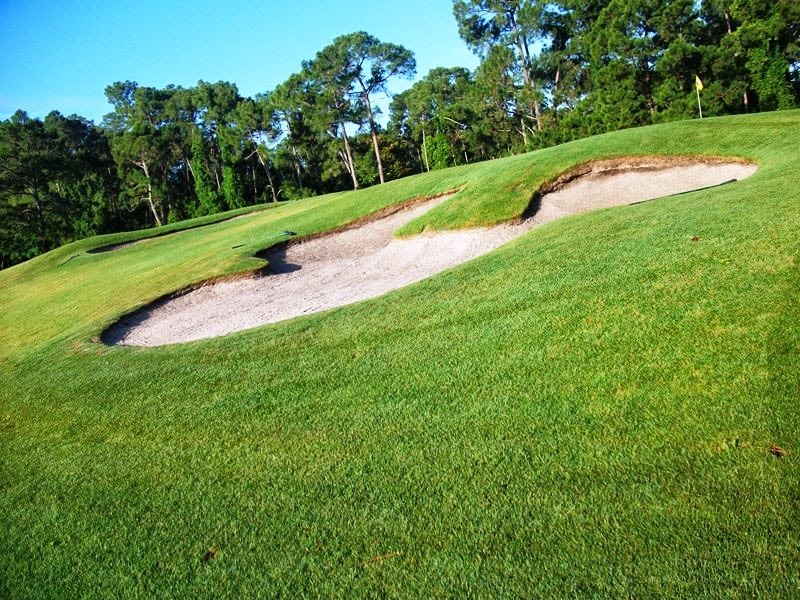 It ranked second of the three. Flying Fish Espresso (Full) - It's not easy to match the liveliness at this Boardwalk eatery, but our robust full city roast is a worthy challenger. It's a blend of 100% Specialty Grade Arabica Beans from Central America, South America and Africa. We chose this blend for its intense aroma, bittersweet flavor and pleasant aftertaste. Whispers of fruit and chocolate add extra luxury to the indulgent chocolate trio on the Flying Fish desert menu. And a thick, rich crema tops it off just the way we like it. The Flying Fish Espresso was my favorite of the three coffees. This may be because of the fact that I lean towards bold/dark roasted coffee, so please keep that in mind. The espresso had hints of bittersweet chocolate and a bold flavor that definitely made me want another cup. It would definitely go quite well with dessert at the end of the meal but I would prefer to drink it as my everyday coffee. This was the clear winner for me and one I will likely order again…after I have tried all of the other blends. Also, please note that you can make espresso roasts in your regular coffee maker; you don’t have to have an espresso machine. There is something to the use of words in speeches and in written form that I have always found fascinating. Why does a simple turn of the phrase catch us and send our minds reeling, but with a change of even a single word the same phrase can be considered commonplace? The same theory applies to the quotes we choose as our own personal mantras or as the personification of some event or place. 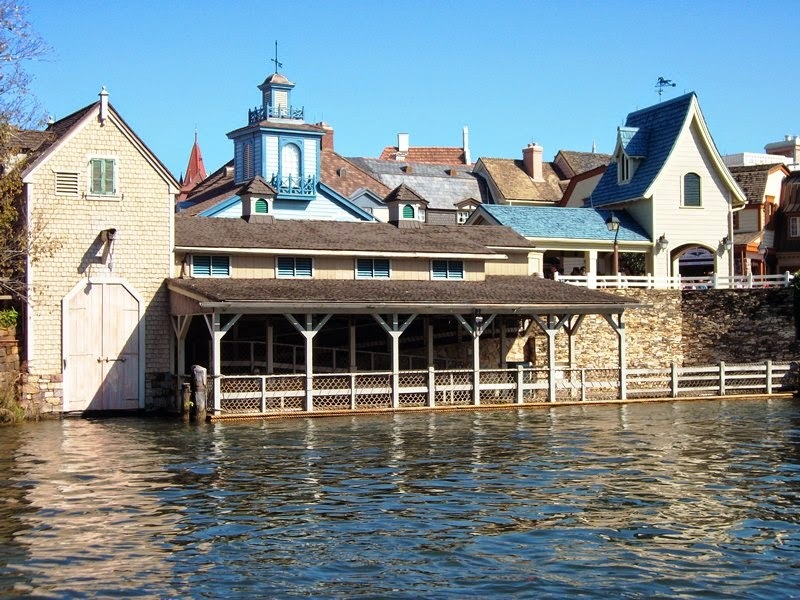 There are an abundance of quotes that are suspended upon the walls of The American Adventure, and while they may stir feelings of patriotism in us, we tend to not delve any deeper into their place in history and what they truly mean. Being a native Floridian who became enamored with Asheville, NC and that Blue Ridge Mountains half a lifetime ago, I developed a fondness for Thomas Wolfe in my formative years. 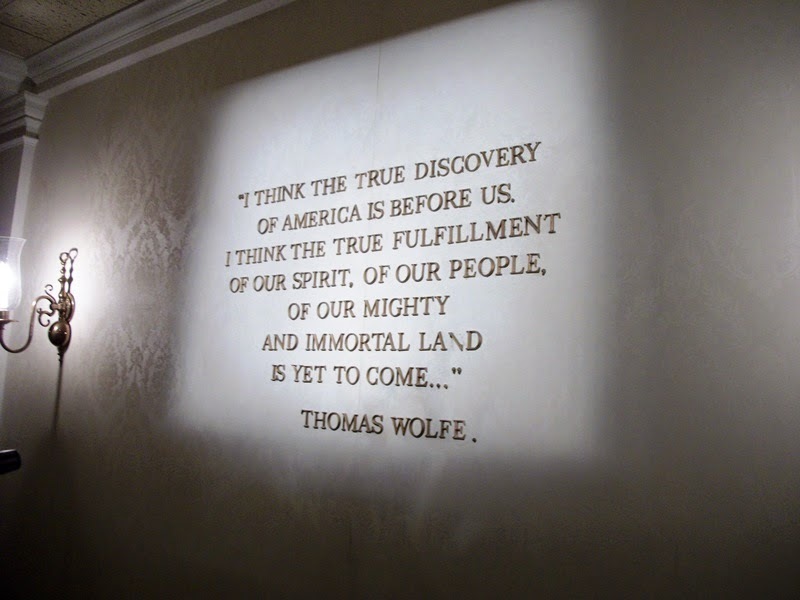 It always pleases me to see Wolfe recognized in the grand vestibule of The American Adventure. But where does this quote come from and what does it mean? The quote comes from his 1940 novel, You Can’t Go Home Again. In the story George Webber returns to his hometown of Libya Hall. His first novel has been published and everyone in town feels as if he has laid their personal secrets bare for all the world to see. George is shocked at the response and by the fact that he receives threats of physical violence, all of which causes him to leave home a travel the world in an attempt to discover himself. While not completely autobiographical, the novel holds close to the true life experiences that Thomas Wolfe encountered after writing Look Homeward, Angel. So imbued with the sense that we are meant to create our own future, making it brighter than the world we live in today, that it has been used time and again to inspire. 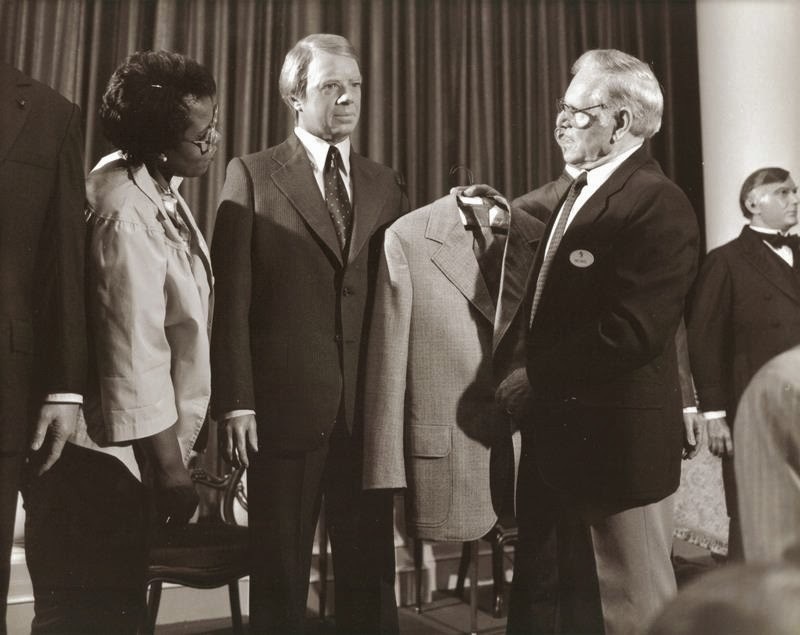 In fact, so powerful were the words of Wolfe that the same two lines that are recognized in The American Adventure were also utilized by John F. Kennedy to close out a campaign speech in Raleigh, North Carolina on September 17, 1960. Words are powerful when we make the best use of them and not only take them as a momentary inspiration, but when we allow them to drive us forward. Which begs the question, which quote from the atrium of The American Adventure do you find speaks to you most often? There are images that have become so iconic that they are tough to explore with any sense of rational thought. 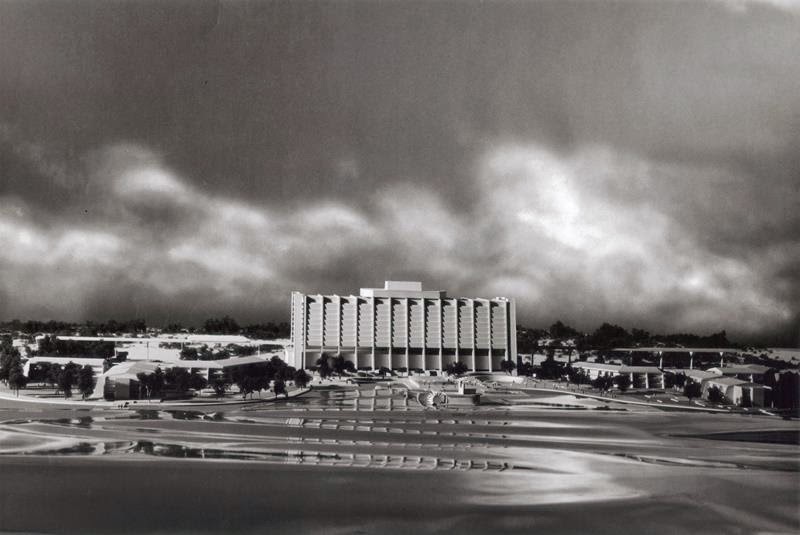 The silhouette of the Contemporary Resort, day or night, rain or shine, cuts such a striking picture that any photograph taken of it immediately becomes iconic. On the flip side of things, we have all seen the grand miniatures of Walt Disney World. We’re talking Progress City, U.S.A. and the model of the Vacation Kingdom that could be seen in the years leading up to the 1971 opening. Both are just as awe-inspiring, and create such an overwhelming response, that they are hard to define. What if we get down to the finer details though? Look at the Contemporary not as a towering icon, but as a single stop through the whirlwind miniature of Walt Disney World? Well then, we’d get this. The wings jut out to both sides. The water looks almost like a dried up sandbar. The Contemporary itself stands high above the trees, ant-like figurines of guests, and even the monorail beams, making sure that its presence is known and place on the horizon assured. It would appear that even in isolated miniaturization The Contemporary is nothing short of iconic. Future World has always been filled with iconic structures. 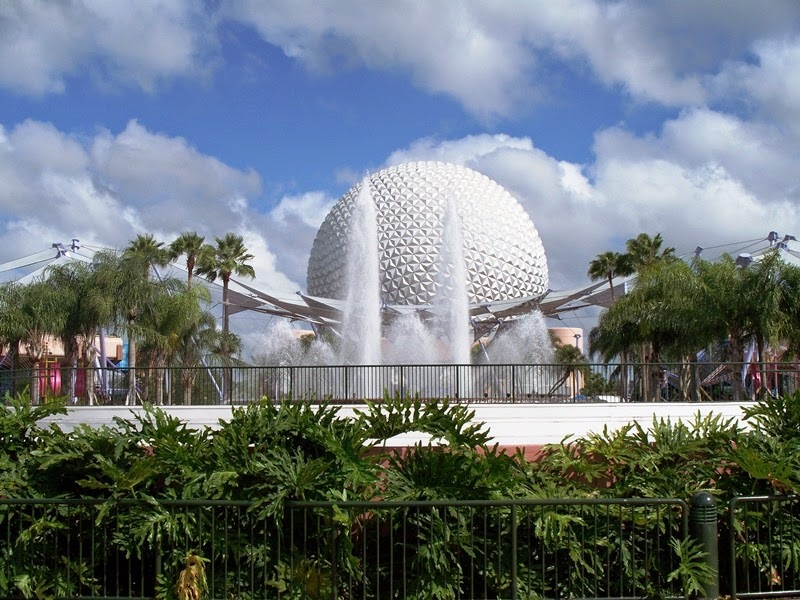 Starting from the moment you see Spaceship Earth from the road leading up to the park to the last glint from the polished steel of World of Motion/Test Track, the angles and architecture are as much a part of the story as the attractions themselves. While Spaceship Earth may tower above the rest, there is one building that actually stands above the rest, the Imagination Pavilion. If you think about it, the hardest pavilion to create in concept and construct had to be the building that would house all things imagination. Disney is built on all things imagination, including the systems in place to ferry guest through attractions all the way back to the company’s formative years and the characters they developed for their animated shorts and feature films. Imagination is a tall order, and not something that is easily defined, which is what makes the Imagination pavilion even more startling to take in. We have come to revere the way the light of a sunset glints off of the glass pyramids and look on in bemusement at the backwards waterfall and jumping drops of water in the pavilion’s courtyard. The nuts and bolts of the building may comprise a 128,000 square foot building that houses a ride-through attraction, 3D film, and an exhibit of interactive elements, but Imagination is so much more than that. How many of us have gotten the creative juices going or a jolt of inspiration just by sitting and admiring the pavilion? This construction photo, taken in 1982, looks a bit like a model of the current waterfall sculpture, but is obviously the building blocks of what is to come. You can see the waterfall’s basic outline just beneath the monorail beams, and the blocked out splashing fountains. The tunnel windows that would flow into the Magic Eye Theater are framed out but not complete. Most striking is there is no reflection or shimmer coming from the glass pyramids as the metal framework has been constructed and is awaiting the triangular panels. 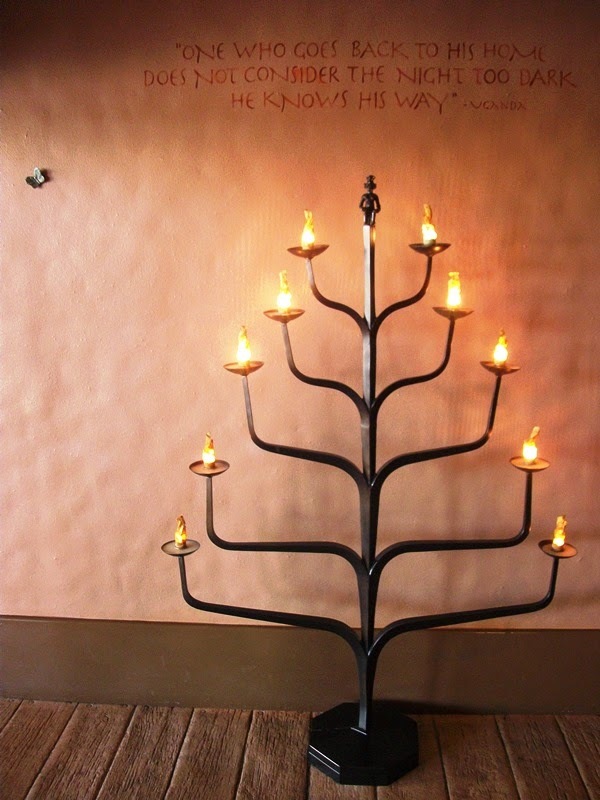 I imagine we all have projects, deep in our imaginations, that are at this level of completion, don’t we? What stopping you from completing your figment of Imagination?